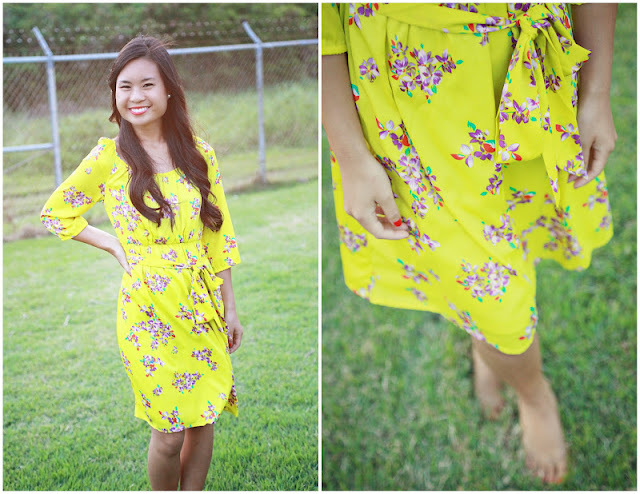 Mustard Me Yellow: Bright Neon & Floral. Happy Monday everyone! I hope you had a fabulous Easter weekend. We celebrated Easter by going to church, then we enjoyed a delicious ham dinner with Sara, Jean Marcel, & little Clementine (Daniel's sister and family). They just recently moved to Hawaii because JM got stationed here for the military. We are so glad that we've been able to spend a few weeks with them before we move. We only have 8 days left in Hawaii. I can't believe it! 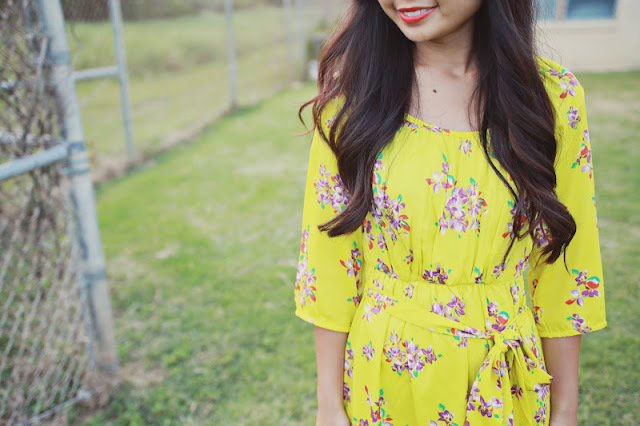 New Easter dress: OLD NAVY. Photos by MEGUMI Edited by ME. Super cute! You should start a fashion blog. 9 days! Yaya! I didn't know you were moving! Are you going back to Utah, or do you have another exotic adventure cooked up?